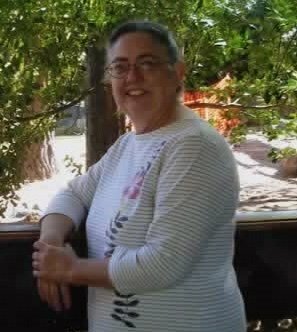 SHERLENE LEWIS, 63, homemaker, was born September 29, 1951 in Kilgore, TX and passed away September 23, 2015 at the Methodist Hospice Residence in Memphis, TN. She is survived by her husband of 30 years, Pastor Nolan Lewis of Horn Lake; two sons, David Lewis and his wife, Kirby of Atlanta, TX and Nathaniel Lewis of Batesville, MS; one daughter, Alison Carr and her husband, Avery of Olive Branch, MS; three brothers, Glenn Barton and his wife, Wilma of Kilgore, TX, Larry Barton and his wife, Sheri of Longview, TX, and Joel Barton of Kilgore; and one sister, Pamela Allen and her husband, Jess of Henderson, TX. She was preceded in death by her parents, Glenn and Lillie Barton. Visitation will be Monday, September 28 from 10 a.m. until the service begins at 1 p.m. at Heritage Christian Life Center, 6100 Elmore, Southaven, MS. Burial will follow in Autumn Woods Memorial Park in Olive Branch, MS. Arrangements are in the care of Twin Oaks Funeral Home in Southaven.